I’ve had the best time reading everyone’s Pay It Forward’s! Out of the blue, I saw a middle aged woman wandering around and my first thought was that she looked like a deer in headlights. She asked me if I could help her find her way out of the hospital to the parking lot by the Emergency Room. She said she took her husband into the ER earlier and they had admitted him to the ICU and now she couldn’t find her way back to her car. 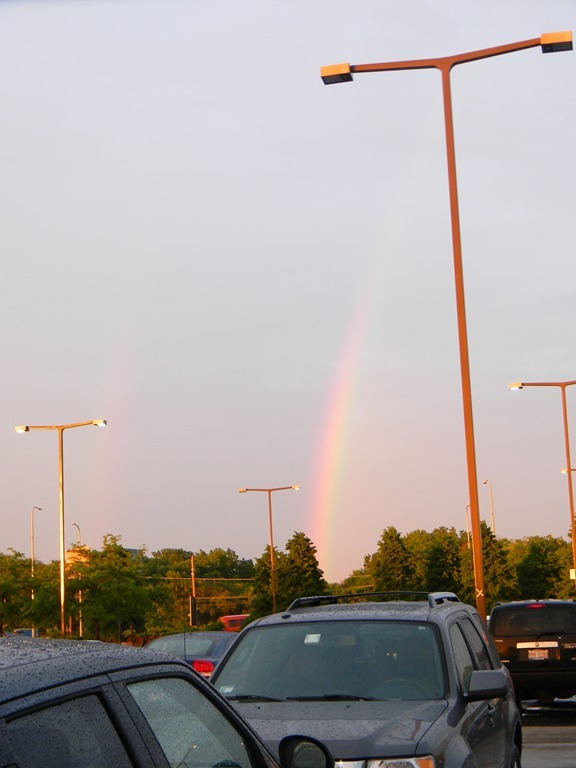 From where we were, the ER parking lot was on the complete opposite side of the hospital campus. But I was tired, my feet hurt, and I wanted to go home. “I’ll help you get there,” I said. She told me how her husband had just been diagnosed with a brain tumor a few days ago and was going to have surgery to remove it. In the next few minutes she told me all her fears and anxieties and sadness at this news. She cried and cried and let it all out to me. Me…a complete and utter stranger. I just hugged her and introduced myself and walked her back to the unit where I worked where I called Security to help us out. I walked her to the opposite side of the hospital where a Security Guard would be waiting for us. When we got there, I hugged her again and told her I would pray for her and her family. She thanked me profusely. And then I started the trek back to the other side of the hospital to where my car was parked, sad for her but grateful it wasn’t me. I hope her husband’s surgery was successful, but I guess I will never know. I wish I could be more like my mom… Because my mom would’ve sat down with her right then and there and prayed WITH her. I wish things like brain tumors and cancers and wars and terrorism and the like didn’t exist. But I will try to make my little corner of the world a little bit better. It’s that time again! Time to ponder the good we tried to pass on over the past week. The kids were in the car with me. After all I am trying to teach them the valuable lesson of giving without expecting anything in response. But all I think they learned was how to give the finger to a crazy person speeding away after almost hitting them. My friend Amy posted this article and I am sharing it with you. 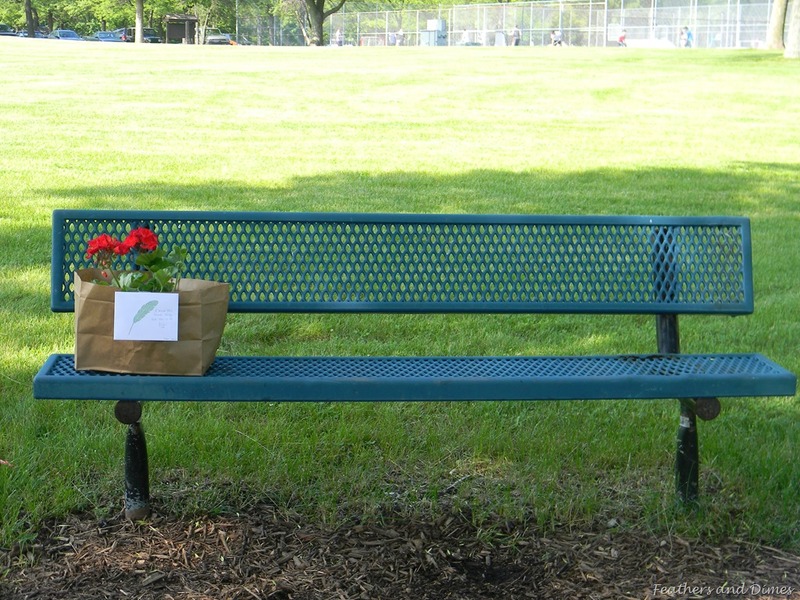 Here are some great acts of kindness to inspire and restore your faith in humanity. You can find it here. Enjoy these, I did. They brought tears to my eyes. Post about what you did and how you did it safely. 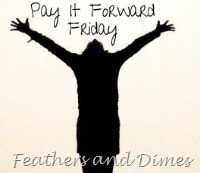 I’m posting on Monday for my Pay It Forward Friday because I’m a mixed up gal who can’t make a self-made deadline. The truth is, I had to work all weekend and that puts me in a tailspin. 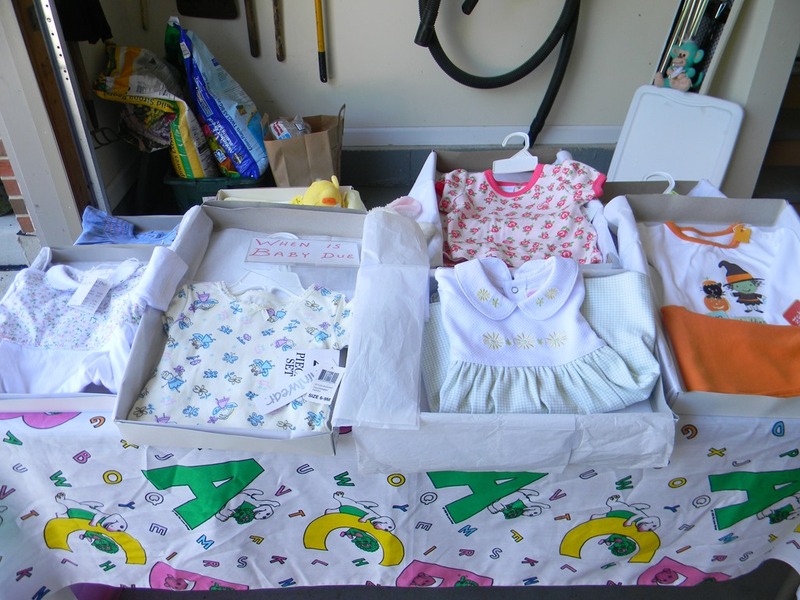 Ok…the real truth is that I was helping out and trying to sell some items in my sweet friend Noreen’s garage sale. Can I get some Garage Sale Love? My friend Noreen is a vintage lover like myself and she has an incredible Etsy store where she sells her mother’s collection of vintage glassware. You can check it out here. 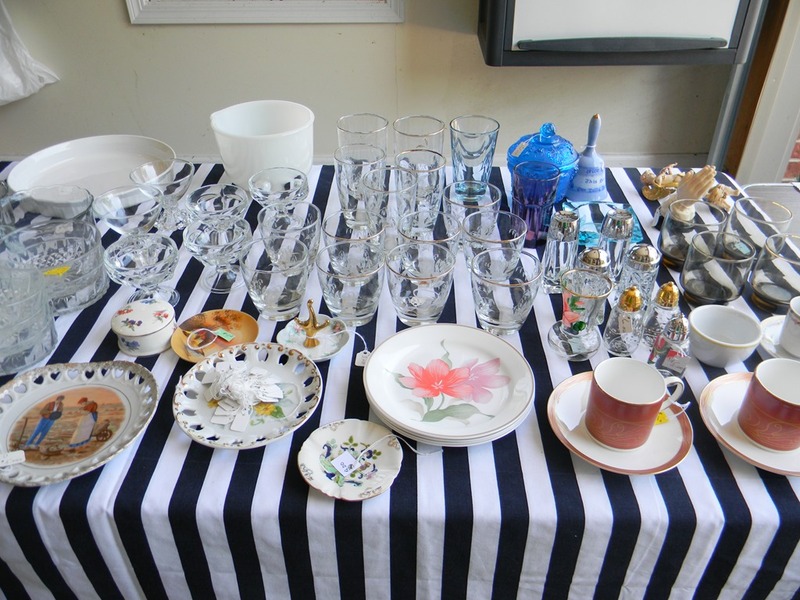 We also hunt estate sales, garage sales, and the like for our treasures…she goes straight for the glassware and I head for the linens and old furniture. We make a good team, I think. Though our husbands might cringe when we team up, (think, “they’re bringing home more stuff”), we have a fabulous time digging. Nothing like a garage sale, though putting on one yourself is a lot of hard work. 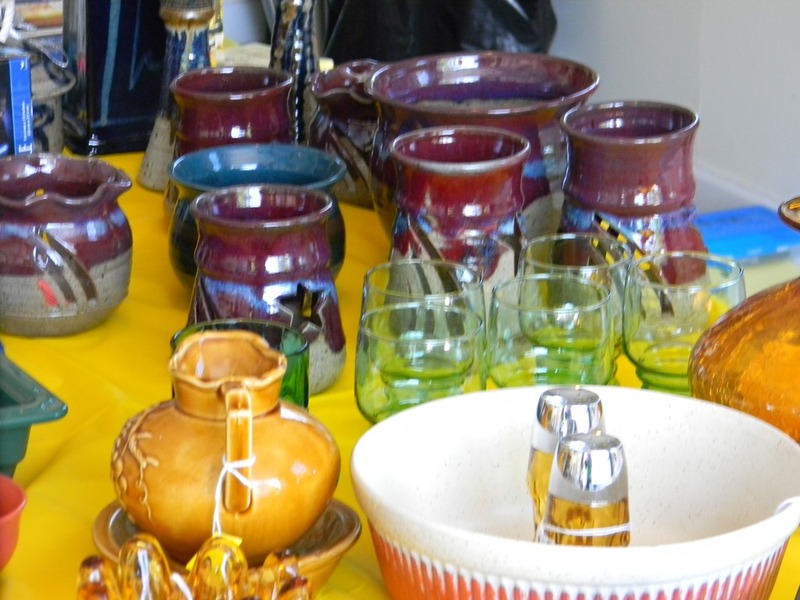 I even “tried” to sell some of my stuff…It didn’t go. 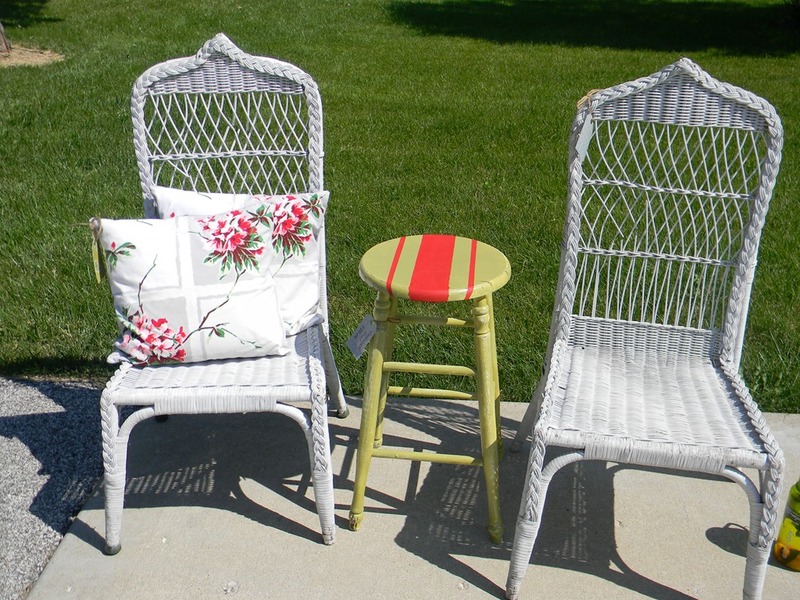 Those pillows were made by me from some vintage napkins Noreen had found and I wasn’t about to just give them away to some garage saler offering $5.00 for BOTH! Kind of an insult, if you ask me. 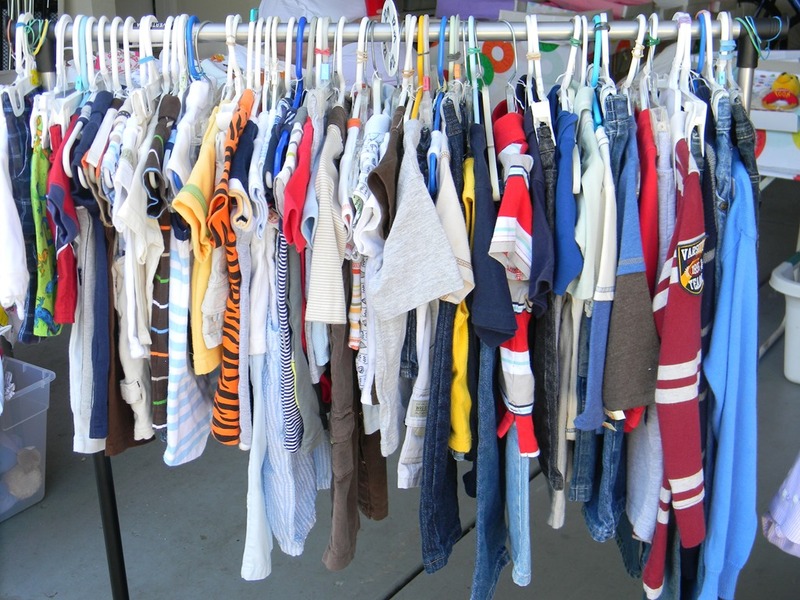 Anywhooooo, last week for my Pay It Forward good deed, it has to do with the garage sale. 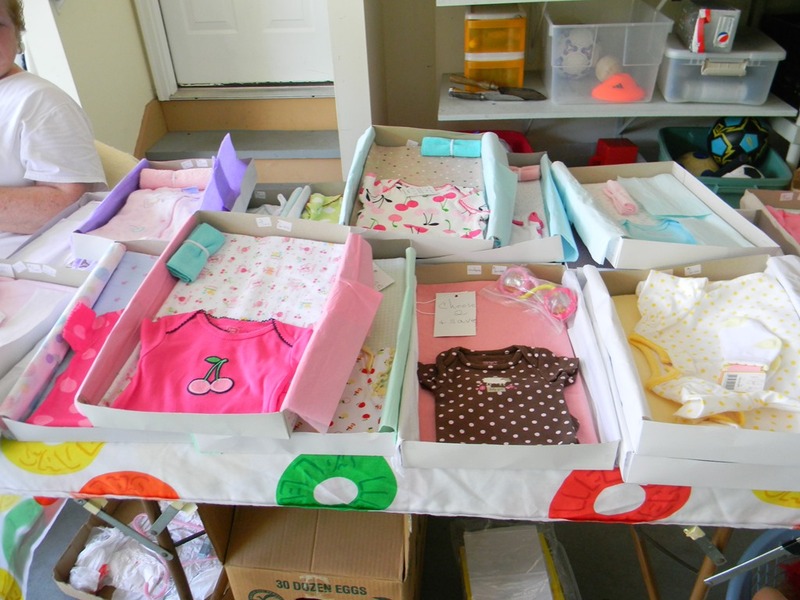 …why was it so easy for me to give away my kids’ toys and my ego wouldn’t let me give away my handmade pillows? I don’t know if I did such a great job Paying It Forward last week, but I do know that a little boy was very happy taking home his new toys. I apologize for skipping last week’s “Pay It Forward”. 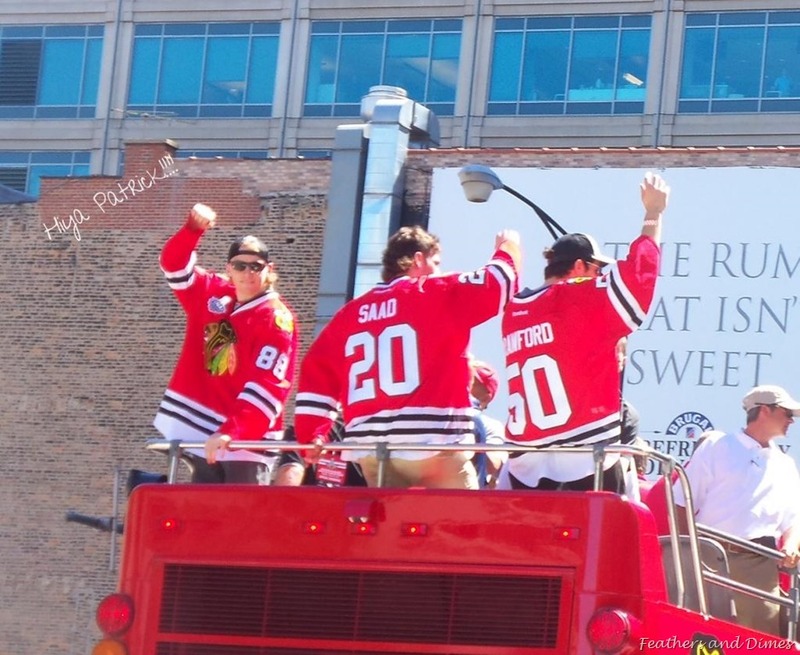 I was busy waving to Patrick Kane!!!!!!! 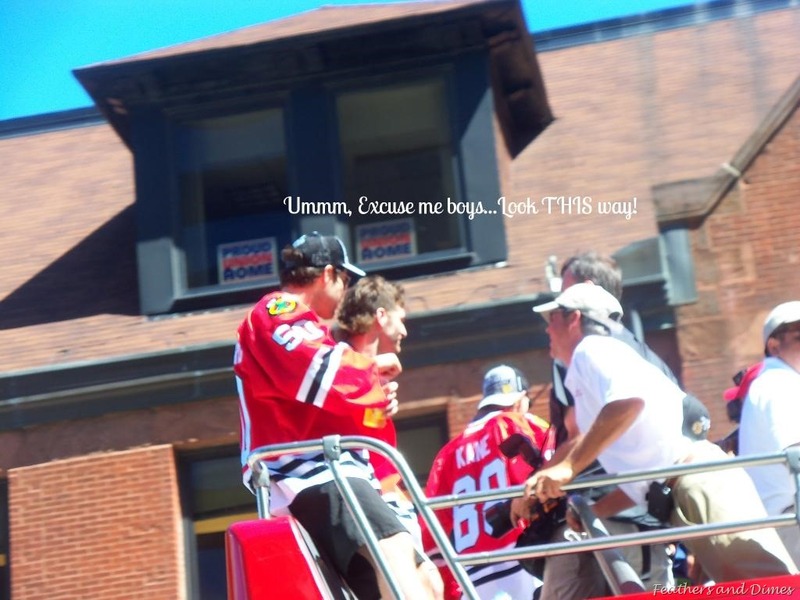 And I was trying to get the attention of Corey Crawford! 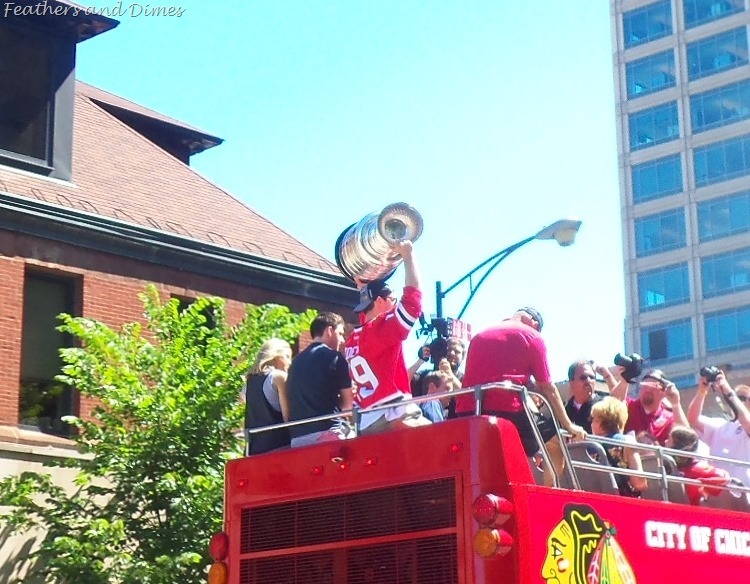 It was a great morning of anticipation and waiting for the Stanley Cup and the 2012-2013 Chicago Blackhawks to parade by. 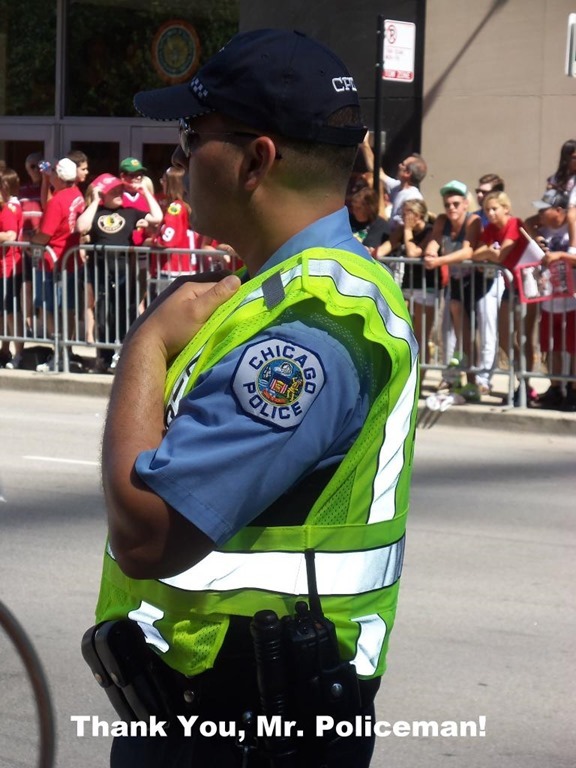 And people in Chicago are so friendly! 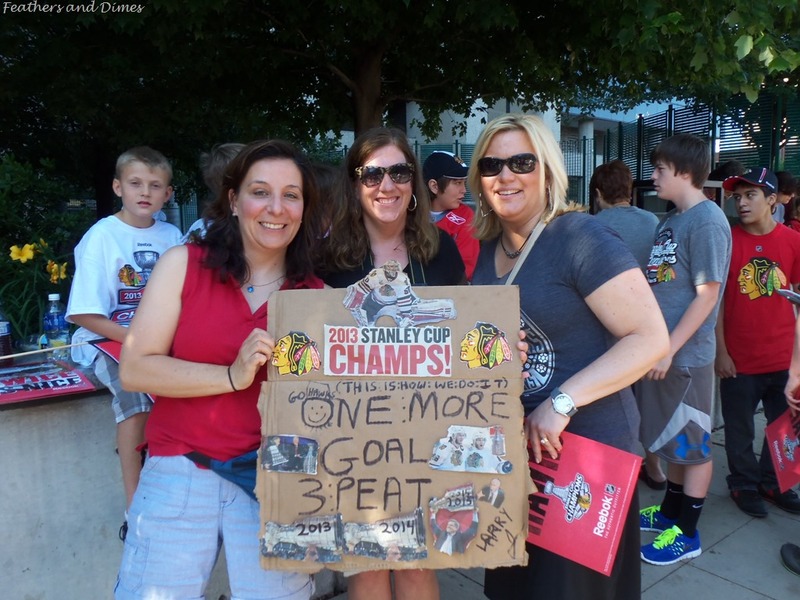 This nice homeless man let us hockey moms use his sign. We waited and waited, had a great spot in the shade and then the Cup zoomed on by. Yeah, the parade was thatfast! 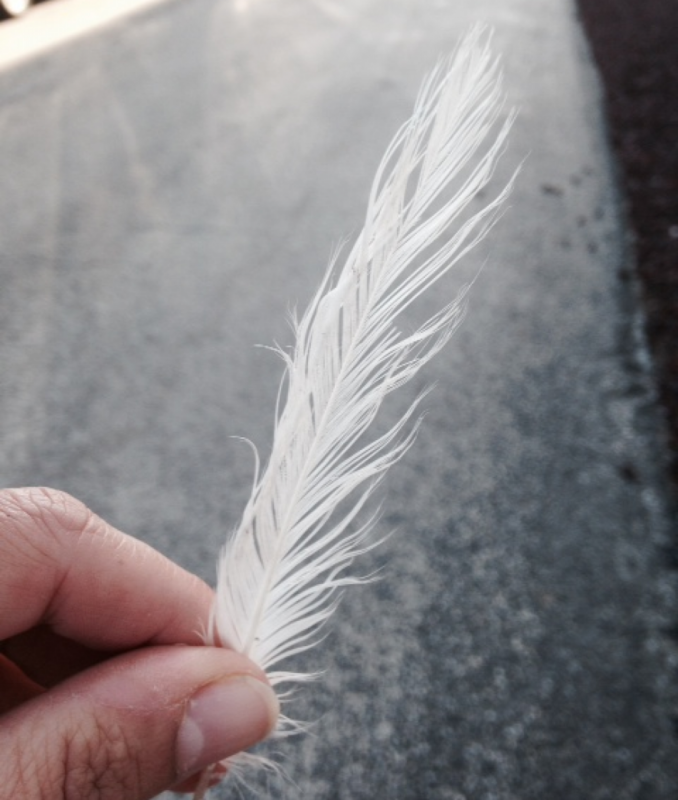 This week, my youngest son found a debit card in the grass at a carnival. We took a special trip to the bank from where the card was issued and he waited in line for the next teller all by himself. The teller was so sweet and thankful to him. She offered him the bowl of suckers (Dum-Dums of course, we were at the bank and that’s what all banks give out), and told him he could have as many as he wanted. He took some and gave a couple to his big brother. I hope the person who lost his card knows it was in safe keeping. Losing a credit card is nerve-wracking enough, don’t ask me how I know. Please chime in and boast about your good deed for the week. I love to read about them! Truthfully, this is harder than I thought it would be…how could doing one simple, little nice thing be so difficult for me this past week? Because sometimes I forget, sometimes I am nasty, sometimes I don’t really feel like it. I meant to send a card to an old friend who I haven’t talked to in a while, but I kept putting it off, distracted by all the “day to day” chores and errands that fill up my day. I’m a nurse, did I mention that? At the beginning of this week, I posted about this concept about “paying it forward” inspired by our trip to New Orleans. You can read about it here. I think I picked the wrong week to start this because I am a crabby, crabby mess. I blame it on peri-menopause and hormones because, let’s face it, what the hell else is there to blame it on? Not even the Blackhawks winning the first game of the Stanley Cup could flip me out of my funk. I think I counted AT LEAST 5 people I wanted to punch in the throat. On top of all that, I had computer issues. Big ones. It’s a very good thing I didn’t throw the damn computer out the window a couple times. My children and husband have been running for cover for the last few days. I feel sorta bad about this, but believe me, I believe I am acting rationally. Doesn’t everyone cry, laugh and then yell all in one sit-down dinner? No? Well too darn bad…for 2 or 3 days out of the month, I do! I started something and I want to follow through with it. 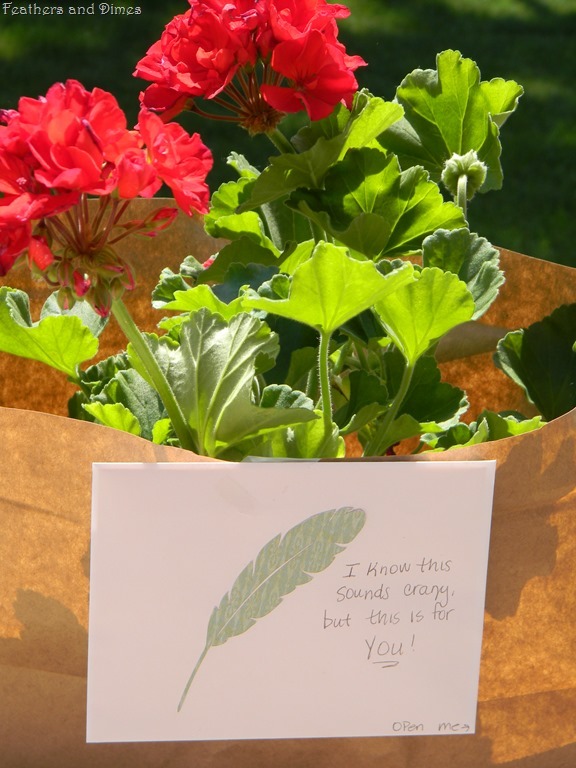 For our first week, we bought a small geranium and made a card. Well, someone must’ve taken it, because I did check back an hour later and it was gone. And my bad mood was gone too. It felt really, really good to imagine someone picking it up, being surprised and taking it home. What did YOU do? I would love to hear all about it. 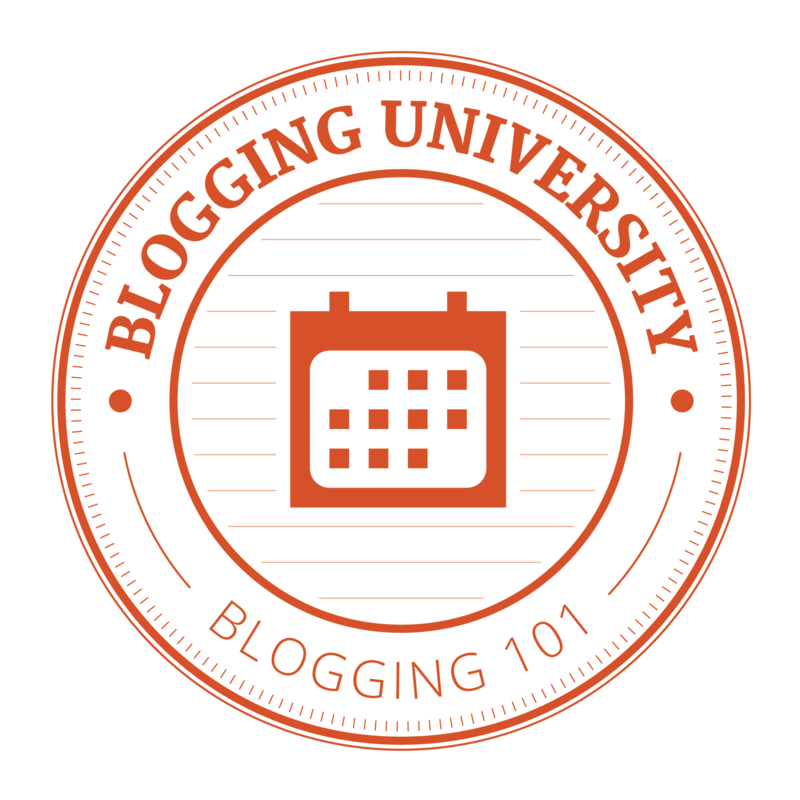 If you have a blog, feel free to link in and link back to your blog. If you don’t have a blog, please just use the comment section to tell me (and everyone else) all about it. I can’t wait to hear all about it. 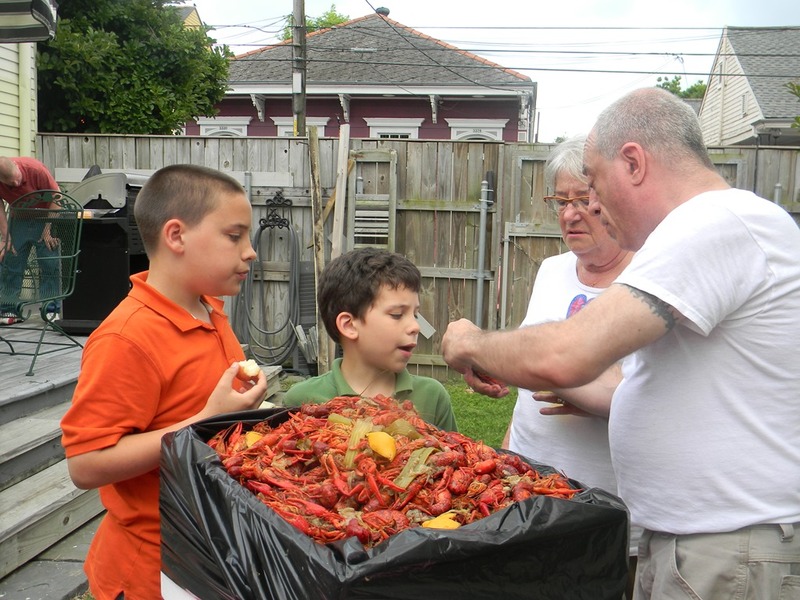 In my opinion, going to New Orleans is like going to a different realm…the food, the architecture, the people, the music, the way of life…like no other city in the United States. I started visiting there in the early ‘90’s when both my brother and sister attended college there and continued to go back through the years. It’s always an adventure! This is the first time my husband and I took our children who are 9 & 11 years old. We went to visit my brother who still lives there with his family, and my mom, sister and niece went also. It was an incredible time, so full of moments that will live in our memories forever. 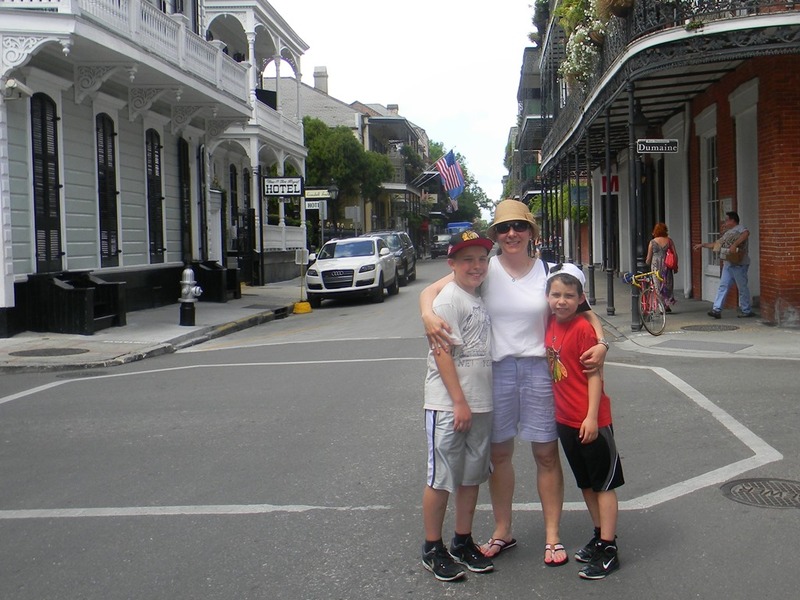 Side note: Going to New Orleans with children is a much different, yet still fun, time than going with your girlfriends to celebrate your 40th birthdays. 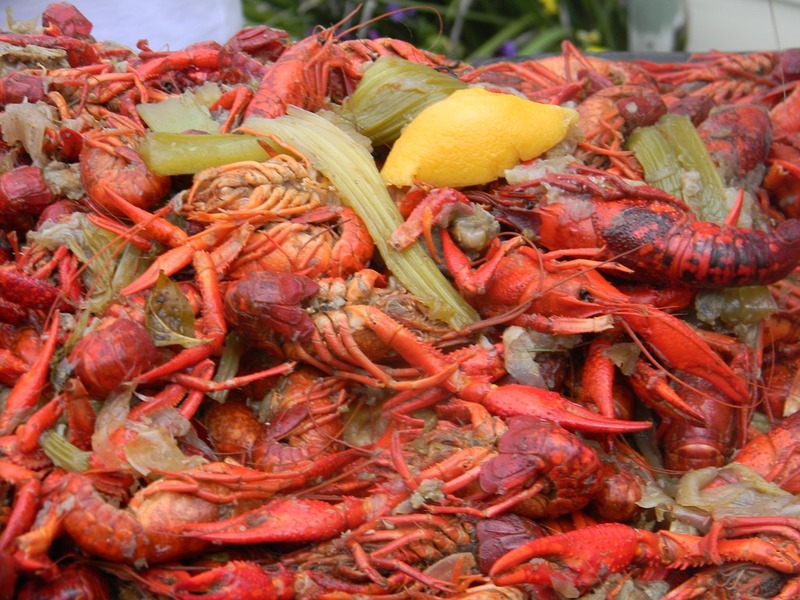 My brother had a crawfish boil for us! 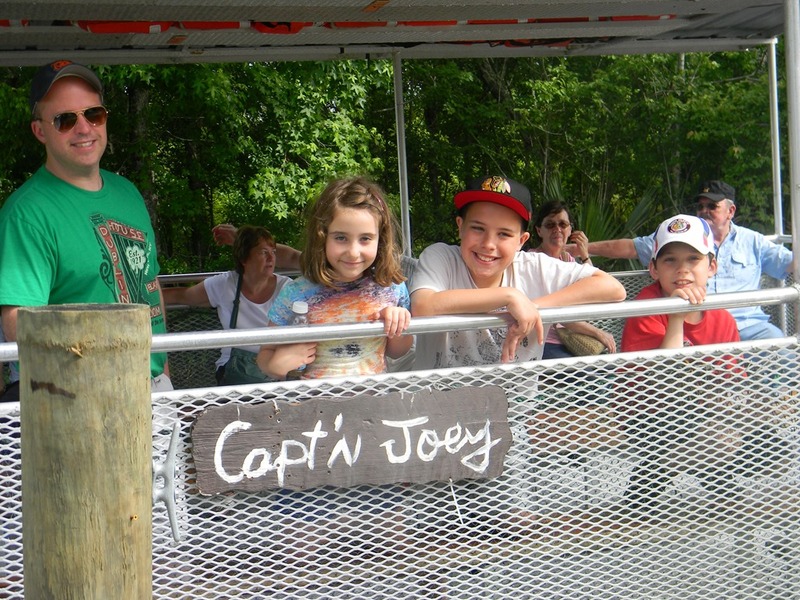 We went on a Swamp Tour with alligators galore! My brother was the most gracious host, making sure everyone got to do what they wanted to do and had fun doing it. He gave my sons the most beautiful St. Ignatius medals and my niece a beautiful St. Cecelia medal that they will treasure for the rest of their lives. 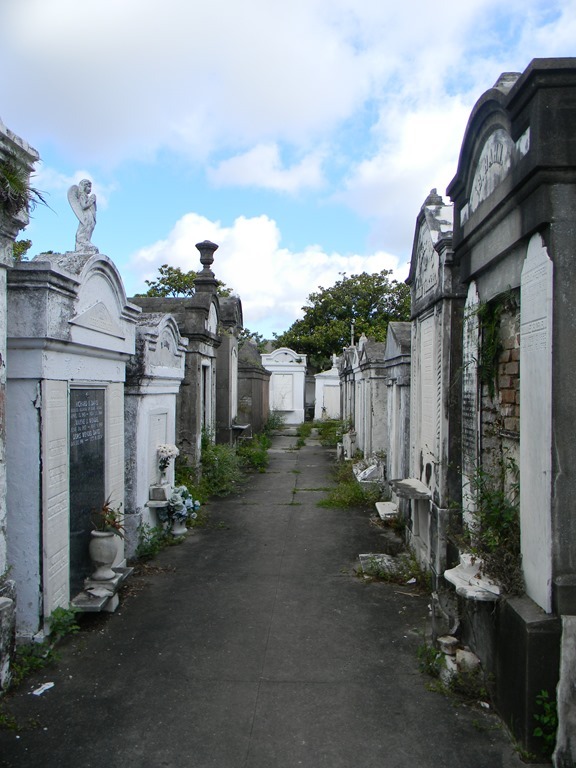 But this isn’t a post for tourism for New Orleans, though it may sound like it up till now. My niece was tired and hot, hungry and probably not in the best of moods. A homeless person noticed this and started singing to her to cheer her up. He started singing, “You are My Sunshine” and you could see her start to perk up. Then he saw one of his friends nearby and had her join in…They started singing, “This Little Light of Mine” and before you know it, we all joined in. It was a little, impromptu gathering of bad singers but we were so joyful, right across from Café DuMonde. Our hotel kitchen started on fire, and no one was hurt and no one’s property was damaged. 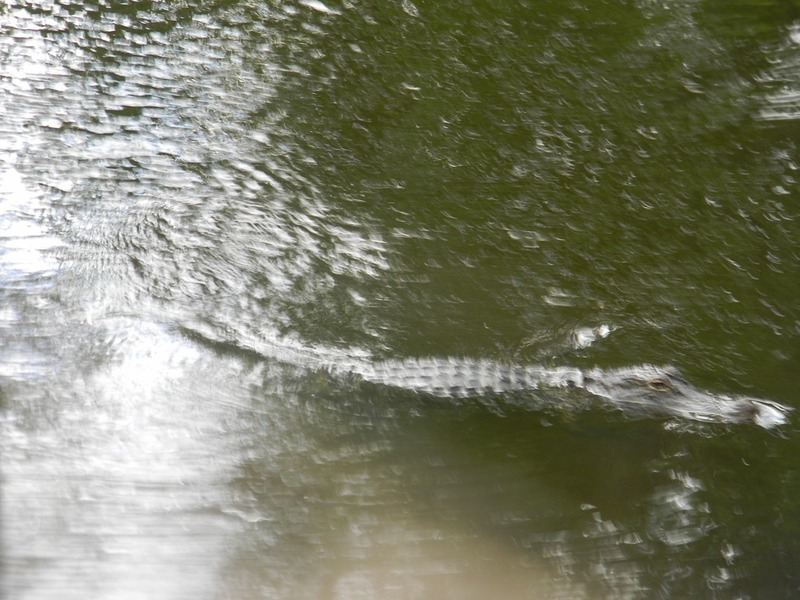 The amazing thing that stuck out in my mind the most was at a food joint called Salvo’s in Belle Chase, LA after the alligator tour. We all were hungry, needing some Po’Boys and Sweet Tea. There were eight of us seated at a picnic table style restaurant, our mouth’s watering and stomach’s grumbling. Out of the corner of my eye, I saw this very, very tall man, probably in his 50’s, come in the restaurant. He must’ve been about 6’6” tall, at least. The waitress sat him behind us and I didn’t give him another thought. At this point, my 11 year old accidentally knocked over his very tall glass of Iced Tea right onto my husband’s lap. Ugghhhh! He felt so bad about this…he was embarrassed because everyone turned to look at him and he was nervous his dad was going to be mad. He started to rub his eyes…the waitresses came over to wipe up the mess and were so kind to him, assuring him it was OK to spill, not a big deal. We all told him it was OK…But he was still upset, was starting to cry, and got up to go to the bathroom where he could be alone. My husband came to his senses very quickly, realizing how upset our son was, and went to speak to him in the bathroom. They came out, arm in arm, everything back to normal. Our food arrived. We all held hands and bowed our heads and said Grace. When it was time to pay the bill, I waved the waitress over because I wanted to pay it for everyone. My mom wanted to pay it for everyone. We argued over this for a bit. Then the waitress said, “Nobody has to argue over this bill, it’s been paid for ya’ll”. Huh? We all looked at her stunned. “Who paid it?” we all asked, almost in unison. I asked her if he comes in often, I would like to leave him a huge thank you note. I’ve heard about things like that happening, strangers paying for lunch out of the kindness of their hearts, but it’s never happened to me and I’ve never done it before, either. 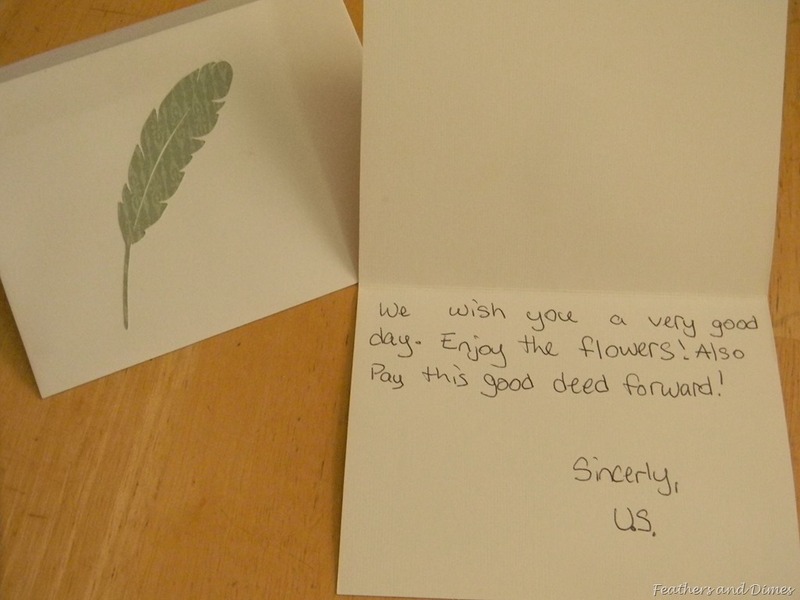 How thoughtful, kind and generous that simple act was. We all left that place a little different, I believe. For the better. I keep thinking of it. That man did this without expecting anything in return. He didn’t even see our faces when we learned he had paid. We couldn’t even thank him. 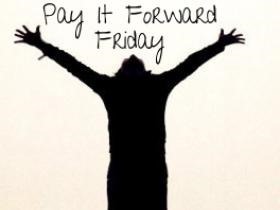 We will do one act of Paying it Forward once a week and post about it on Fridays. One act is not asking very much. We want YOU to get involved too. On Fridays, I’ll post about what we did. Please, please join us on this. Post to me what YOU did. I can’t wait to see what a difference we will make. Thank you…you don’t know this, but you’ve started something good.